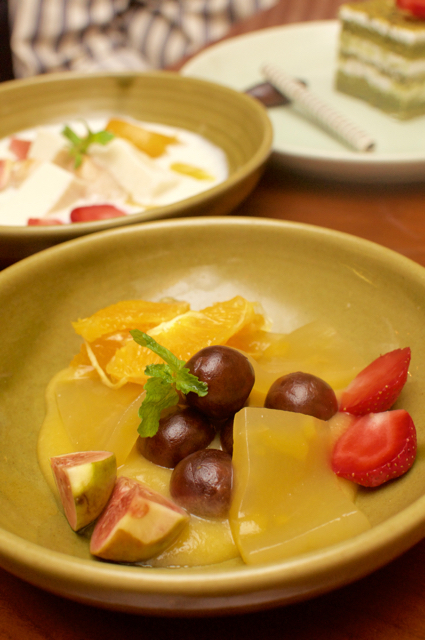 The juices from the pop up dinner at Food Consulate was just settling down in my tummy when I got the call. It was intriguing. I've heard of pop up dinners, but a pop up restaurant? Where does it pop up from? And what happens after the restaurant popped up and then went on to the next place? The whole thing was confusing for me and I actually cancelled an appointment to make it for the launch of this. My confusion was put to rest when I saw that the bistro at Hyatt Regency was converted into this pop up. Ah. So it just didn't pop up in the middle of the lobby like I thought it might. But from a bistro to full Japanese? Nice job nevertheless. Being the opening day and with the restaurant filled with people, I think the little bistro wasn't prepared to handle the crowd. Waiters were running around, clearly overwhelmed. With the top honcho of Toshiba doing the honours (which I missed), I learnt that there was a Japanese population of about 30k people in Chennai. No wonder so many Japanese restaurants are coming up, popping or stable. OK, bad joke. By the time I went, friends had already gulped down a giant brinjal - done Japanese style. I saw a few orders going by and was tempted, but thought of the sushi and stuff to come along made me leave the brinjal alone. Unfortunately the sushi was blah for me. I like fatty salmon and that wasn't the case here, but there was something amiss in the sushi and I don't know what that is. 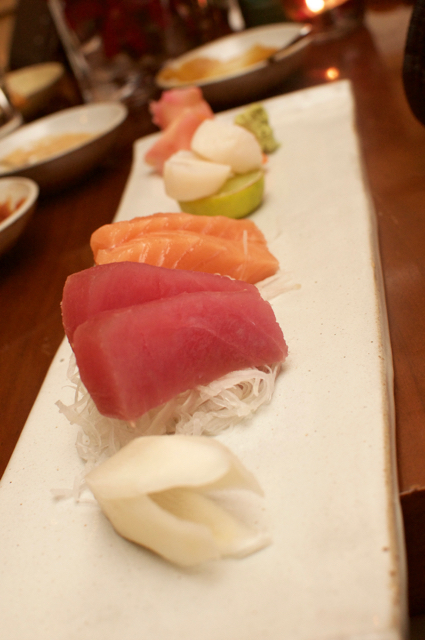 Sashimi was just as average. Leave those two and the rest were lovely. 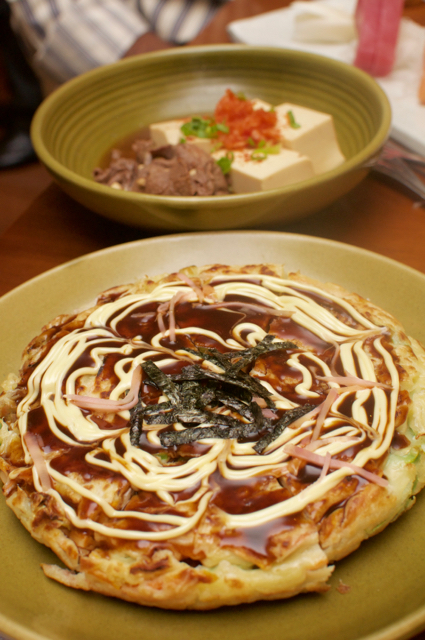 The Japanese pancake, though my friends thought was a little doughy, I really liked it. Its like a big stuffed pancake and since the non veg version had pork, I had to do with the veg. I think for meat lovers, the non veg might be a great option too, if you don't mind a nice dense savoury pancake. And the best dish of the day was they call the Niku Tofu. 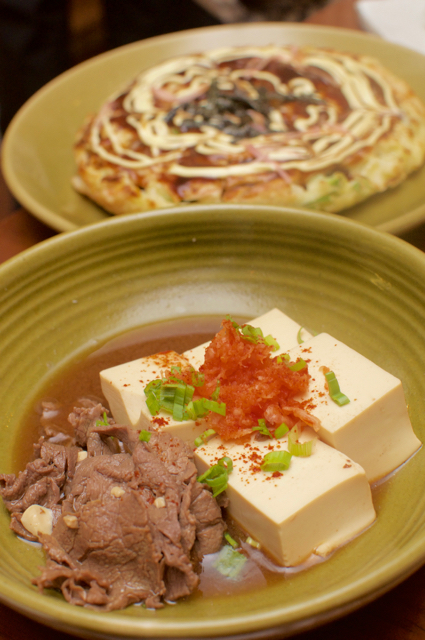 It's sliced beef in a broth served with fantastic tofu. Loved every morsel and would have liked the plate!!! 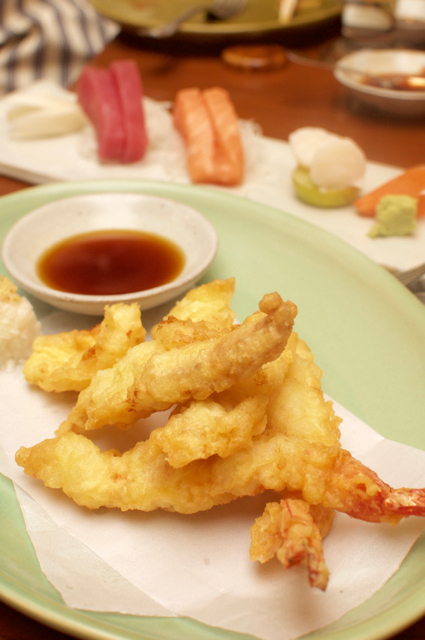 The tempura prawns were also a little blah and something was missing in the batter. It wasn't entirely light, but there was definitely something wrong with the batter. Dessert - I don't remember the name of the jelly like dessert as it was average, but the other one was excellent. 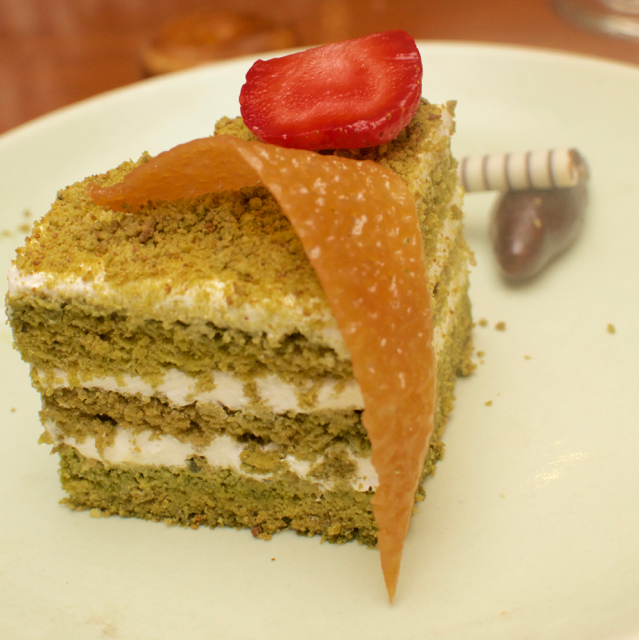 A Green Tea Tiramisu. I've had their Green Tea Cheesecake in another restaurant (STIX) and wasn't impressed, but this was fantastic. Just the right amount of green tea for the flavours and lots of mascarpone. It's great that we are having pop up dinners and now even restaurants popping up. While these place had both good and bad (like most things), I really believe that this is the start for something that Chennai can start looking forward to when you are bored of the same old restaurants. Kudos for bringing this concept in. YAKINIKU stays popped up till the 10th of December!